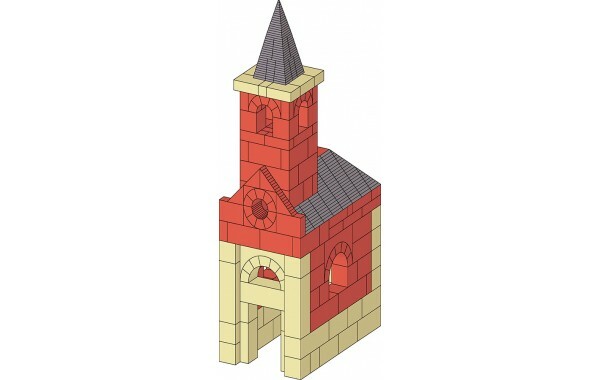 The Rókarántói Chapel architectural plan is a replica that includes elevation and sectional drawings. The plan features a single story church with a bell tower. The chapel is located in Szigliget Hungary and shows how even a modest number of sets can produce architecturally accurate results.